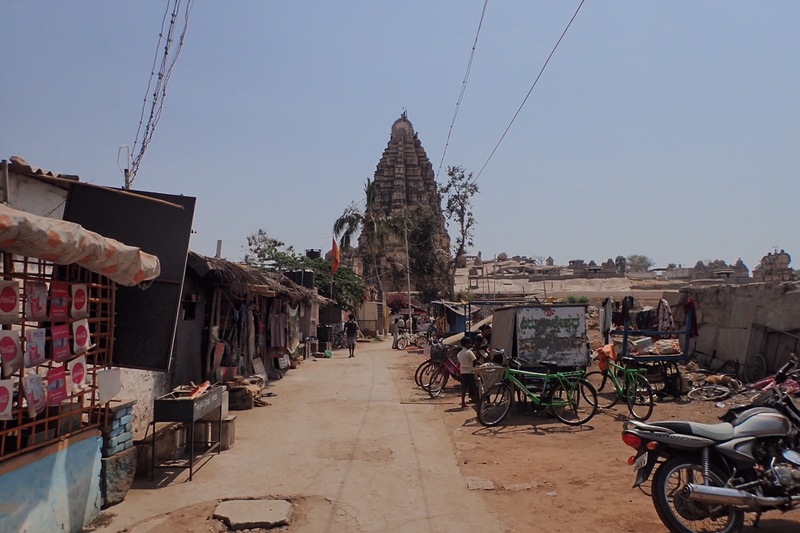 Forgotten among paddy fields, palm trees and boulders lies Hampi, the capital of the fallen Vijanagar empire, in Karnataka India. Thousands of its temples are scattered through 60 km of land, some in better conditions than others, most are fighting against time and nature, and still stunning. The empire is no more and it’s place took thousands of tourists that fill the shanti cafes and wander through the ruins of the temples. Not very different from Angkor Wat, Chichen-Itza or Bagan. 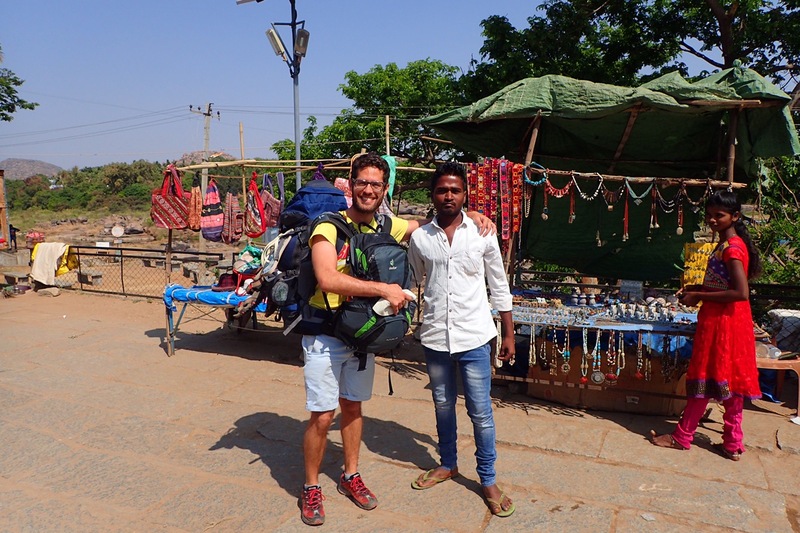 Here we met Anuk, a young businessman that sells cheap jewelry and clothes for tourists by the bank of the river. Some years ago his business was flourishing and he managed to buy two bikes and share some of his good luck with his family. 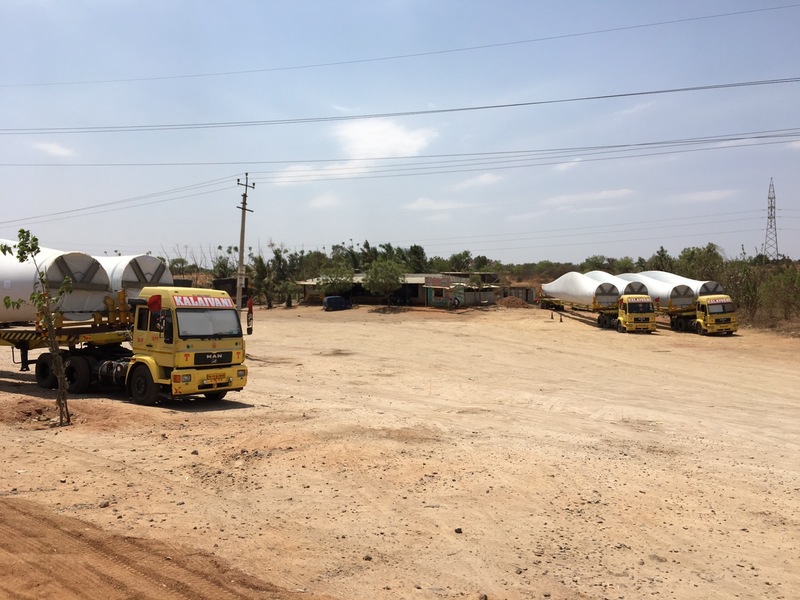 For the last two years, the raining season fell short and the water shortage is such that fighting is taking place already between Karnataka and its neighboring province of Tamil Nadu. 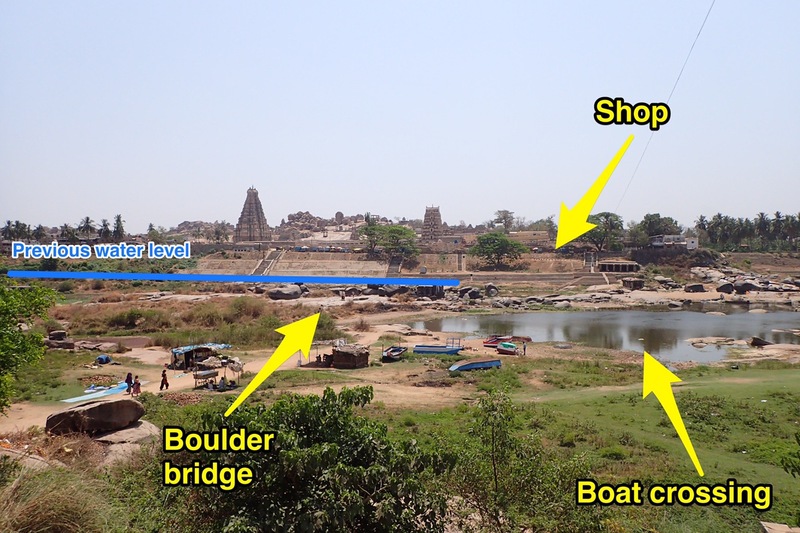 Luckily this is not Anuk’s problem, his is much simpler: When the river level went down, its crossing became possible through a path of rocks in the riverbed, turning redundant the boat service that once took the tourists from their guesthouses to the temple’s bank. Both points as you can see in the picture are only 50 meters away. Tourists used to pass by his shop one their way from and to the ferry and fell to his charm and huge smile. Today the tourists cross by foot and his shop position is no longer on their way. When trying to move to a better location, he met the anger of his competitors on the better route. Location location location is not different here than anywhere else in India, or in the world. Since then, his business went down, he tried to take some credit from the bank but was refused, forced him to turn to the black market, where he pays 10% interests. And since the sales haven’t changed, he had to sell one of his bikes and the second is about to follow. He’s an educated electrician who can’t land a job since apparently, to land a good job in India, you have to pay 5 under the table to get 10 over it. And most people don’t have the 5. He’s not sorry for himself, he’s not mad, and he’s not praying to the gods for help. He has accepted the situation and is doing whatever he can to stay afloat, including telling his story to tourists and asking them to buy something symbolic to help him. That’s only one story, of millions, including thousands of land-workers in the area suffering from the drought that forced to flight, to fight or in the worse cases even commit suicide. So the next time you hear about a drought, floods, record temperatures etc., you’ll know: this is how climate change is affecting real people’s life. And it’s not nice. After this sad encounter, I found a glimpse of optimism on the way to our next stop; dozens of energy generating wind turbines parts being transported to be installed in the area. Maybe and only maybe, we’ll be able to stop cooking our planet before it’s too late for Anuk. Wind turbine blades parked by the road. 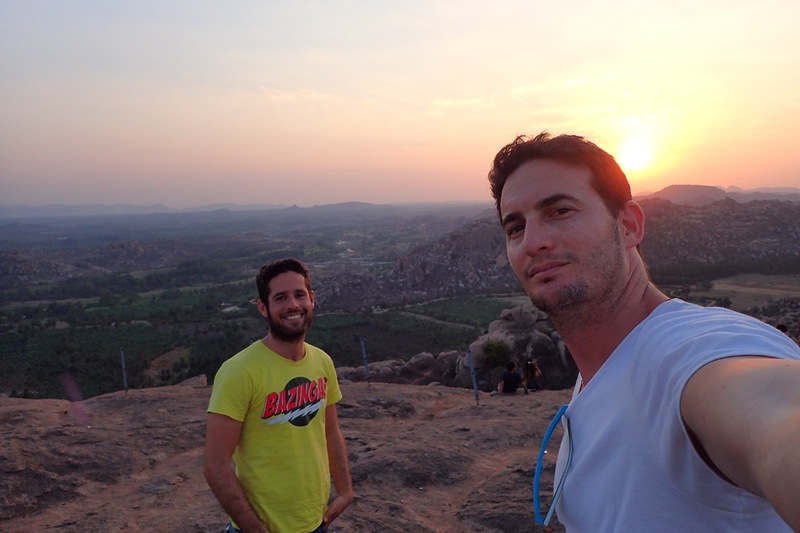 On an even brighter side: we had a great time in Hampi!